Between 2000 and 2010, about 3.4 million hectares of tropical forest was lost annually in Africa due to illegal logging and other unsustainable practices in the forest sector - accounting for approximately 26 percent of global forest loss. FAO estimates that globally some 13 million hectares of forest are cut down and converted to other uses such as agriculture each year. Financially, the illegal timber trade costs the world economy an estimated US$30-100 billion annually. In Europe, consumers increasingly alarmed over environmental degradation and associated climatic changes have pushed legislators to adopt new measures to stop the circulation of illegally logged timber. These measures fall under Forest Law Enforcement, Governance and Trade (FLEGT) Initiative of the EU. European industry is following suit, responding to the call for more "sustainable" sourcing policies. business in these countries - from governments to large industry to small scale timber operators - must comply with new, "greener" standards which, put simply, can track timber back to the stump in the forest. In other words, failure to demonstrate legality will increasingly limit access to markets in the years to come. As more and more governments and enterprises embrace new sustainability and legality standards, making the transition to a greener economy, few will be able to afford "short-cuts" or alternative routes. In Africa, where two-thirds of the population depends on forest resources for food and income, a number of countries have already taken steps to address illegal logging and to participate in responsible timber trade. Among the measures being pursued are voluntary but legally-binding accords with the European Union under the FLEGT initiative called Voluntary Partnership Agreements (VPAs). Five African countries have already signed VPAs, and an additional three are in the negotiation phase. When a timber producing country signs a VPA with the EU - they effectively enter into a trade agreement which commits forest stakeholders in the country to improve timber tracking mechanisms. These are all important steps, but more needs to be done. Despite good intentions, the current situation in many countries still means that accessing the formal and legal market remains prohibitively expensive for many timber operators. Some operators cannot compete with timber sourced from plantations (where production costs are low) and they also cannot move into higher-value markets until consumers have confidence that their products are legally and sustainably produced. Sometimes operators simply need more information and training to keep up with changing standards. This is the type of assistance offered through the EU FAO FLEGT Programme. Clamping down on illegal logging is just the first step. The other side of the coin is building consumer trust. The image of the tropical timber trade has admittedly been tarnished over the years. Timber businesses need help not only to comply with sustainability and legality standards, but to make this information public. The current EU FAO FLEGT Programme, for example, has provided grants to the African civil society organization Cercle d'Appui a la Gestion durable des forets (CAGDF) which is teaming up with the World Resource Institute Forest Transparency Initiative (WRI-FTI) to develop an electronic portal to publicly communicate their legal practices. Thirteen African companies are already participating in the pilot initiative to showcase their legal credentials. Practices such as these must become commonplace if African businesses are to gain consumer trust and in turn accelerate demand for legal and sustainable timber. The international timber trade is changing. Our environment is changing. 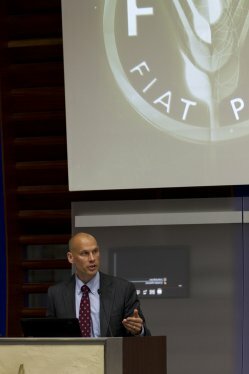 FLEGT is a unique opportunity to provide a commercial incentive to reverse forest loss. It is equally a remarkable opportunity to bring the forest sector to the forefront of an expanding green economy - especially in the context of "green building". Timber has an enormous potential to be sustainable, legal and at the same time drive both development and economic growth, but all actors, including timber businesses, need to participate in restoring consumer trust in tropical wood.